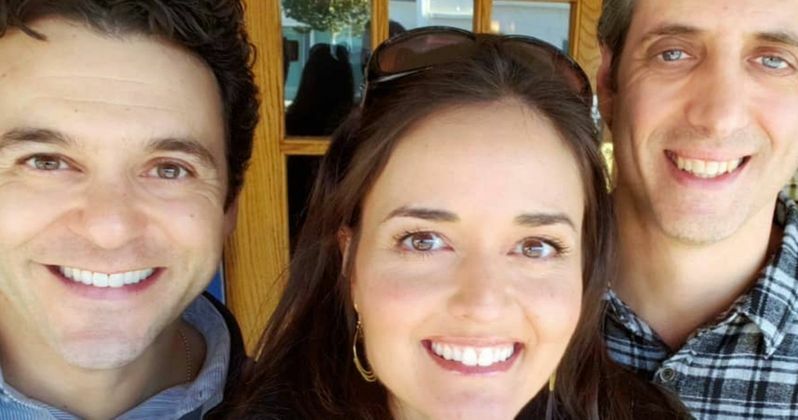 The Wonder Years cast members Fred Savage, Danica McKellar, and Josh Saviano reunited over lunch earlier this week and fans are hoping that a revival series is on the way. The beloved TV series ran from 1988 to 1993 and centered on Savage's Kevin Arnold character growing up with McKellar as Winnie Cooper and Saviano as Paul Pfeiffer. Ever since the show came to an end, fans have been wondering about a possible reunion and now with revival shows doing so well, maybe The Wonder Years could come back. As for the reunion this week, it was just to get some lunch and catch up, according to Danica McKellar. Both she and Josh Saviano shared a picture of the trio on social media. Saviano captioned his photo by saying, "The more things change, the more things stay the same, and the more I enjoy hanging out with these 2." He added that Fred Savage and McKellar are "like family to me." McKellar took the picture and posted it herself with her own caption, which you can read below. "This group look familiar to anyone? I got to see these guys for lunch yesterday - it was so much fun to catch up and hear how their beautiful families are doing! And yes, Josh Saviano, I totally agree - *you guys* are like family... I mean, we DID grow up together, after all." The three actors, who are now in their 40s, did spend a lot of time together while making The Wonder Years. Both Fred Savage and Josh Saviano were 12-years old when the show started filming, while Danica McKellar was 13-years old. The three actors were big stars at the time on a show that worked for kids just as much as it did for adults. The Wonder Years is still a hit through streaming services and syndication, leading many to wonder about a comeback. For those hoping for The Wonder Years revival series, it probably isn't going to happen. When asked about it in 2015, Fred Savage said that there was a "zero" chance of the show coming back in any way. Danica McKellar has said in the past that something could happen, possibly without Savage, but that wouldn't make much sense. Savage had this to say about a reboot never happening. "The show was about a time in your life. The show was about this finite moment in your life that has a beginning and an end, and I think that's what makes people long for that time in your life. You can't really go back to it. You can't all be 12 again, and that's why that time in our life is so special and why all the memories still stay with us and warm us and haunt us and all those things - because we can't go back to it." The Wonder Years revival series might not ever happen, but a lot has changed in the world of television since Fred Savage made those comments. Whatever the case may be, it's just cool to see that Savage, Danica McKellar, and Josh Saviano still enjoy each other's company. Maybe we can call Jason Hervey to join the crew next time. You can check out The Wonder Years reunion pictures below, thanks to Danica McKellar's Instagram page.